Video games are popular, and board games are a thing of the past. 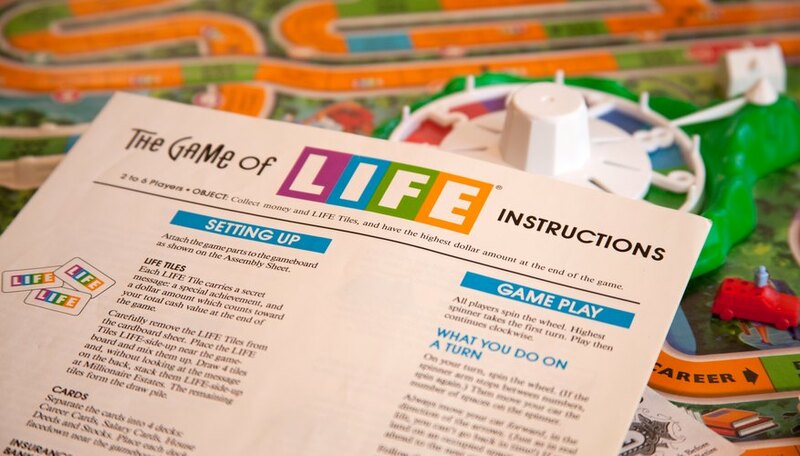 The Game of Life board game that used to get a lot of play probably has been shoved in the closet and now different pieces are missing, including the instructions. There are a lot of rules to the Game of Life, so it's hard to remember them all. 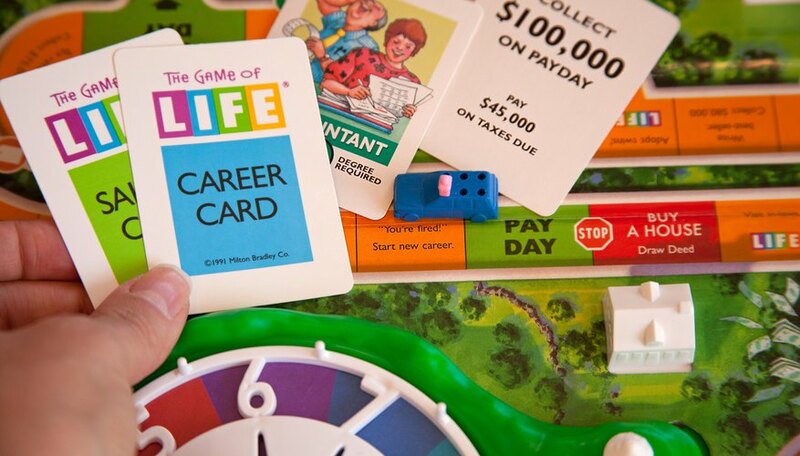 At the beginning of the Game of Life, each player decides if he wants to start by getting a career or going to college. Players who go to college will get better jobs and make more money but it will take longer and they will start off in debt. If a player decides to start with a career, he will draw one Career Card from the deck and that will be his job (if the job says a degree is required, the player must choose again). Next the player will draw a Salary Card. After that the player spins to see how many spaces he will move. If a player chooses to start college, she gets a $40,000 bank loan and will start on the space that says “Start College.” The player then spins to see how many spaces she will move. When a player in college gets to the “Job Search” space, she must stop there. When a player who went to college selects his job he gets to draw three Career Cards, look at them and decide which one to keep. For the Salary Card the player will also get to draw three cards and pick the best one. Now the player will spin and continue with the game. 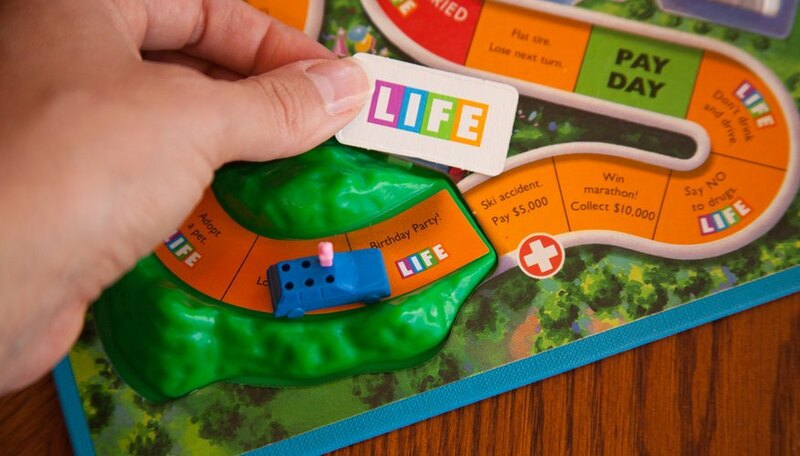 There are many different types of spaces to land on in the Game of Life. If a player lands on an orange space he does do whatever the instructions say. If a player lands on a blue space he can opt to follow the directions if he wants to. 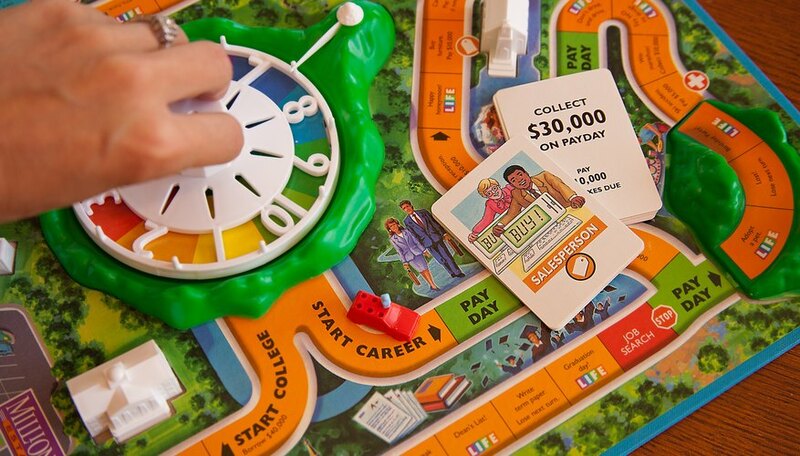 If a player lands on a green space, it is payday and the player collects whatever her salary is. When a player lands on a Life space he takes one Life tile from the pile. If there are none left in the pile he can choose to take one from an opponent. Do not look at what the tile says on the back side. Each Career space has a picture that coincides with the different careers. If a player lands on a career owned by an opponent, he must pay the amount on the space to that player. If a player lands on his own career, he pays nothing. If a player lands on a career that is not owned by anybody, he must pay the bank the amount on the space. If a player lands on the taxes-due space, he must pay the amount of taxes on his own salary card to the opponent who is the accountant. If nobody owns the accountant career, the taxes are paid to the bank. If a player lands on the You're Fired space or the Mid-Life Crisis space, she must change jobs. Draw a new Career Card a new salary card. When a player lands on the night-school space, she can change careers and salaries if she wants to. The player may choose two random cards and choose one of them or keep the job she had. Then the player does the same thing with the salary cards. If a player passes or lands on Pay Day, he will be paid his salary by the bank. 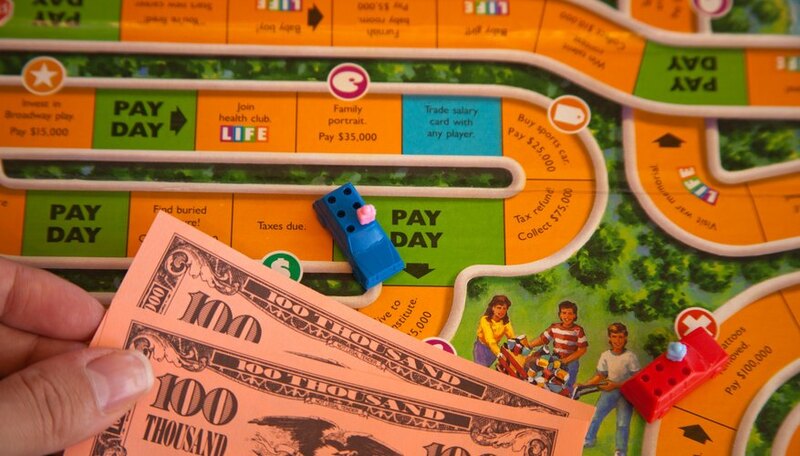 If a player passes two Pay Day spaces on one turn, the player will be paid twice. A player must stop on Getting Married. For any family member who is added, the player will add another peg to his car and take another Life tile. When a player reaches the Buying a House space, he must stop even if he has moves left. 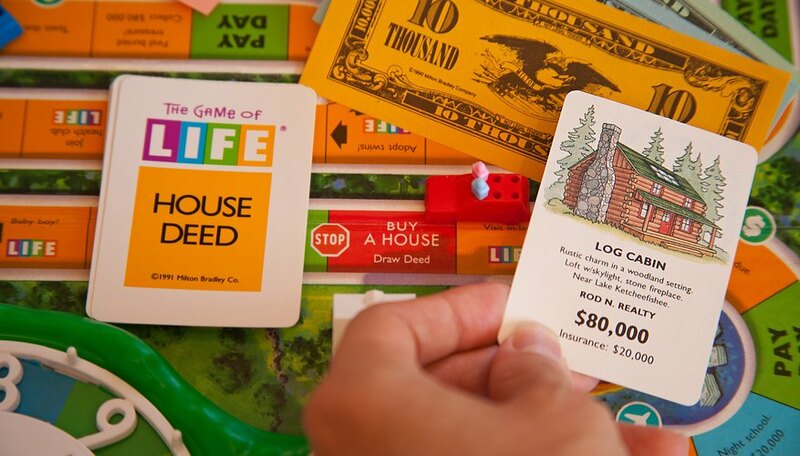 The player then must draw a house deed from the deck and pay the bank the price on the deed. If the player doesn’t have enough money to pay for the house he must borrow from the bank. A player may buy automobile insurance, stocks or take a loan from the bank before any turn. 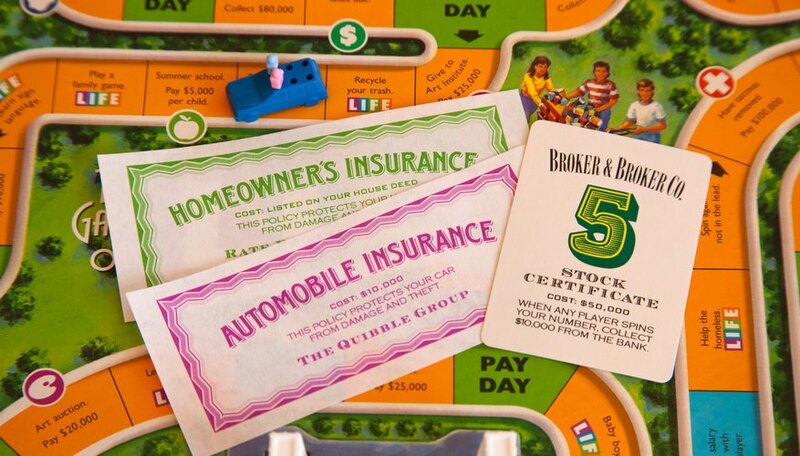 To buy auto insurance a player pays the bank $10,000 and his car is protected from accidents, damage and theft. To buy a stock, he must pay the banker $50,000. Each stock will have a number and anytime a player spins that number the bank must pay the player with the stock $10,000. A player can hold only one stock at a time unless she lands on the Stock Market Zoom space. If the player lands on that space she get a second stock if he has one. 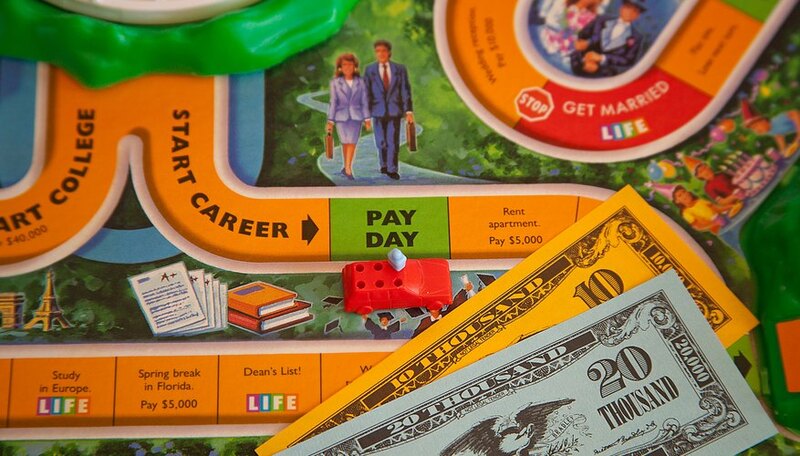 To take out a bank loan a player gets $20,000 from the bank but when he pays it back there will be $5,000 interest. When a player reaches retire, he stops and waits for everyone else to finish. After retiring, a player must repay all of his outstanding loans. A player can still collect on his stock while waiting for the rest to finish. 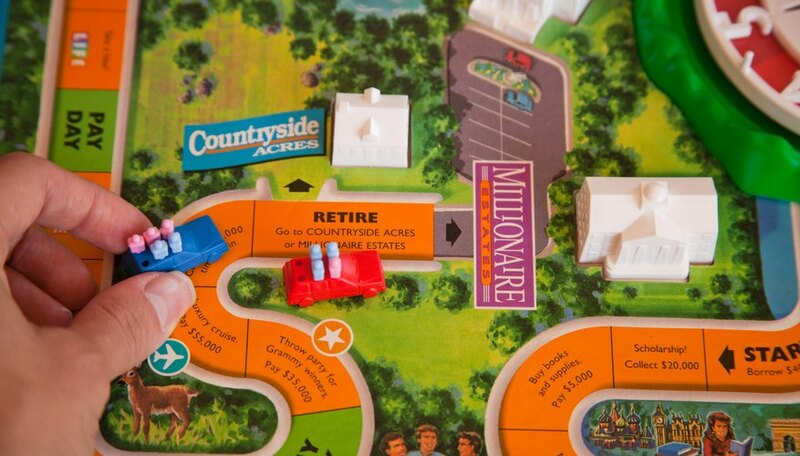 The player will have the option of retiring to the Millionaire Estates or Countryside Acres. If a player chooses the former, other players can take their Life tiles if the pile runs out. 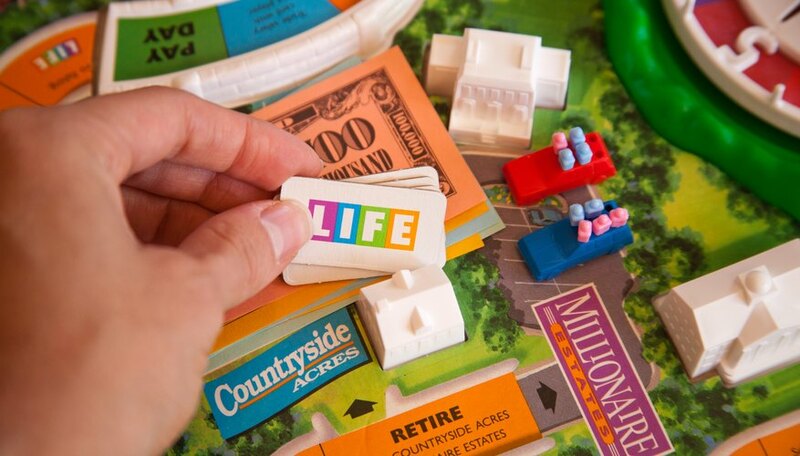 If a player retires to Countryside Acres, his Life tiles are safe. After every player has retired, the players who retired at Millionaire Estates count their money. The player with the most money takes four Life tiles. After that, all the players turn their Life tiles over. 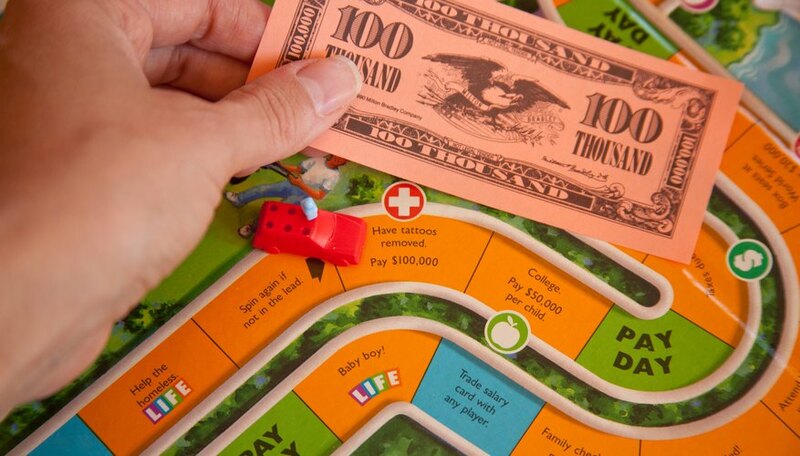 The players then add the numbers on the Life tiles and the amount of money they have, and the player with the highest amount wins. Lee Andrew Henderson has been a freelance writer for five years and has written over 2,000 pieces of content for the internet, usually dealing with the topics of sports, entertainment and religion.